GJ.3, 15c. 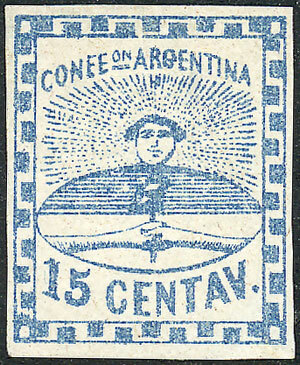 light blue, small figures, mint without gum, light thin. Catalog value US$18.